Measuring 25 metres in height, with a total weight of 15 tonnes. 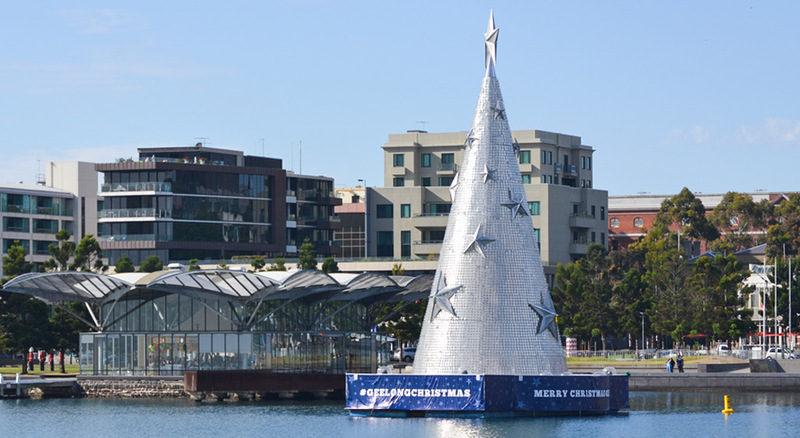 Geelong’s floating Christmas Tree will spend 3 months, from November to January, on location at the Geelong Waterfront each year, until its contracted end date in 2019. The Tree is designed in components that enable it to be dismantled and stored from February to October, as it awaits the next festive season. When on display the Christmas Tree is actually located on Corio Bay. Construction materials were selected for durability when exposed to tough conditions. In coastal locations, the rate of corrosion is increased by the presence of soluble chlorides in the atmosphere. The internal framework of the Tree required a durable coating that could withstand these harsh environmental conditions. Hot Dip Galvanizing (HDG) was selected as the preferred protective coating for the Tree’s main frame members, based on HDG’s proven performance as a durable, low maintenance finish even in coastal conditions. Over 10 tonne of Galvanized RHS Frames, Caged Ladders, Channel, Angles, Brackets and Plates were used to build this amazing structure. 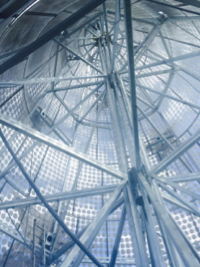 Stainless Steel and Aluminium components were used in conjunction with the Hot Dip Galvanized steel elements. Galvanizing is a fast process that was carried out at our Geelong galvanizing facility. The process is not affected by weather conditions as alternative coating systems can be. This ensured that there were no costly delays for the fabricator, enabling the installer to complete the entire project in a seven week time frame. Australia’s largest floating Christmas tree features over 11,000 reflective discs and more than 400 LED lights. This striking construction is a beacon for the City of Geelong, attracting tourists and stimulating the local economy.